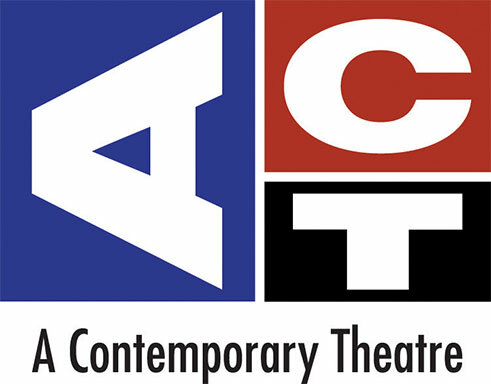 ACT Theatre is a non-profit theatre located in downtown Seattle. It produces year-round with an annual co-production with the musical theatre house The 5th Avenue Theatre. ACT has approximately 65 employees, about half of which are part of the Production Department. The Production Department is responsible for actually putting on the plays and musicals ACT has decided to produce and includes workers who create the physical structures seen on stage including the props, costumes, scenery, and manage any equipment related to lighting and sound or other special effects. This department is how plays get put on. They sit in long hours of rehearsal to make sure every detail is correct and to the specification that the director, designer, and larger aesthetic of ACT require. There is an enormous amount of pressure on this group to be high-performing with limited resources. Within the production department, a particular sub-department had become entangled in an interpersonal conflict spanning over a decade. At this point, the conflict was impeding the ability to get work done and many hours were being spent managing the two within the conflict. I was brought in as a third-party mediator at the start of the season to try and resolve this issue. This problem was initially approached using traditional third-party mediation. After individual interviews with the two parties, we met to discuss the issue at hand and try and come to some common ground to move forward. The two parties, A and B, were deeply hurt after years of misunderstanding. They wanted to shift as they both liked each other personally, but found their working styles to be incompatible. B’s perception was that A wanted B’s job and was slowly creeping in to take it. A thought B was overbearing and micromanaging in the way A went about completing their work. The two were making assumptions about the other’s intentions and words, and making decisions about the other’s character and intention based on these assumptions. As a result, they had managed to spin big stories about the other and were dealing with an interpersonal gap that looked roughly the size of the Grand Canyon. To close the gap, we worked on basic interpersonal communication skills like using “I” statements, checking out stories and assumptions, and reporting impact. We met individually and as a trio and made incremental progress towards finding common ground. They seemed to be inching closer to each other, but the progress was tedious and slow as both were hesitant to be vulnerable and open to the other. There were very tense moments, tears, and laughter. I was frustrated with their progress, though they were content. I, however, thought there was something missing that would bring them closer together quicker. I consulted with a colleague about the Structure of the department and the larger organization. Both A and B were well in line with the organization’s goals and were always in line with what the final outcome of their work needed to be. I thought it was a Roles issue as it seemed to B that A was trying to take over B’s job, despite A’s insistence that that wasn’t the case. Resources were always scarce, but they actually managed them well. B was incredibly adept at maneuvering money and resources to make sure A had what they needed to get the job done to the high standard set by ACT. B also did this with relative ease, so they weren’t acting above their skill level with this maneuvering. When looking at Process, we found the discrepancy. The process they used for getting the work done was different to everyone in the department. B was prone to memory lapses and so information would get conveyed, but B had a hard time tracking it all, despite many attempts to put good systems in place for catching all the information. A would get held up waiting for B to deliver information or materials for a project and would have to navigate the sticky situation of checking in about it, not knowing if B remembered the question in the first place. After talking through the process, I suggested trying on a Kanban board. 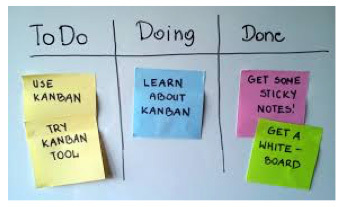 A Kanban board is way of visually representing workflow developed through the Lean methodologies of process improvement. There are 3 columns, To Do, Doing (or Work in Progress), and Done. Each task is given its own card and is moved across the board in accordance with where it is in the process. Below is an example. The department as a team wrote down all their tasks, assigned them to each person, and included relevant information like pieces of research they would need and how high of a priority the task was. They also developed a labeling system wherein if a worker needed more information from B, they could note it on the card. It was a quick, visual way to see what was pending and why. B could more easily supply information as needed. After the first production using their new Kanban board, we checked in about how it was working and what tweaks needed to be made. The team as a whole reported that it was working for them and they were still in the phase of learning to adjust to it. There was some discussion about the inclusion of a “deadline” section and if there would be penalties for not meeting it. They all decided that they “deadline” section would be simply for testing purposes in regard to their own ability to determine how long it took to complete particular tasks. We had 2 more check-ins like this, both of which were quick as no problems were reported. The Board, as it was referred to, was doing its job. The inclusion of the Kanban board served as the silver bullet I was looking for. Both A and B reported from then on that there was no interpersonal strife that was beyond the bounds of creative, workable differences. They both reported feeling more content within their department and highly satisfied with the outcome. Other department members also reported that A and B’s relationship had significantly improved and no longer got in the way of the workflow. 1. Clear sponsorship: A and B’s supervisors were very clear and delegated a lot of authority to me in this process. They were highly supportive of whatever we tried on and gave us any and all resources we need to complete it. 2. Willing participants: A and B were at an ideal place where they were both on the cusp of wanting change and were willing to actively seek it. Their desire to work through this and try on new ways of thinking in order to deal with the discomfort made their relationship the ideal conditions for facilitating change. 3. A pre-existing relationship: A, B, and their sponsors had had a previous relationship with me in another capacity. As a result, I had already gained trust from them in regard to a high work ethic and willingness to get the job done. Since we were already comfortable with each other, we could jump right to the task of finding solutions and iterating changes. 4. A look at the Structure: After interpersonal work wasn’t solving the problem, a concerted look at Structure and more specifically, Process, revealed the problem and the solution immediately. As most mischief lies in Structure, it makes sense that this was where we found the solution that had the broadest, most lasting change.